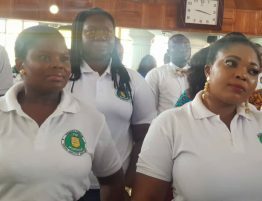 Two Catechists posted to the Hope Congregation of the Presbyterian Church of Ghana, Sakumono-Estates have been formally introduced to the Congregation at a church service held on Sunday, March 31, 2019. 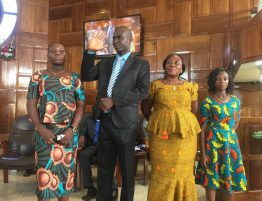 Catechists Harrison Gyampo and Cynthia Lomotey are joining the congregation following recent transfers of agents within the Sakumono District of the PCG. 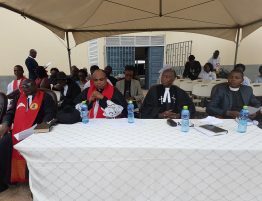 Mr. Harrison Gyampo prior to his posting was the agent in charge of Anointed One Congregation while Catechist Cynthia Lomotey was with the Most Holy Trinity Congregation. Catechist Gyampo was born to Mr. Emmanuel Akogyiram (deceased) and Mad. Comfort-Akyeabea on the 11th of September 1971. He was trained as a community Clinic attendant between 1988 to 1991, He obtained his ordinary level certificate in 1997. He was trained and Consecrated as a catechist in 2010. He holds a Bachelor of Theology from the trinity theological seminary 2012-2015, He worked at St John of God’s hospital 1991-1998, Cirehasna enterprise 1999-2012. He taught at Sword Bible College and works at Jeappico investment till date. He is married to Mrs. Beatrice Asiedu Gyampo a Fashion Designer and Trader, they are blessed with four (4) children. 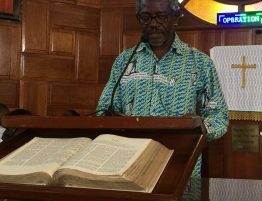 Apart from Anointed One Congregation, Mr. Gyampo has also served as Catechist at the Parousia Congregation. 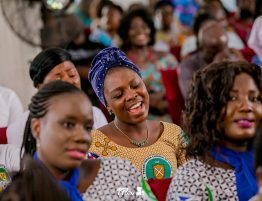 For Catechist Cynthia Lomotey, homecoming best suits the occasion having served in this congregation as full-time catechist from 2008 to 2013. She was born on August 2, 1958, to the Late Joseph Tetteh Lomotey and Diana Adjeley Kumah. She is a trained secretary/typist. However, after marriage, she left the formal sector and became self-employed in order to make time for her children. She has three children and two grandsons. She is widowed. She joined Hope Congregation in 2000. 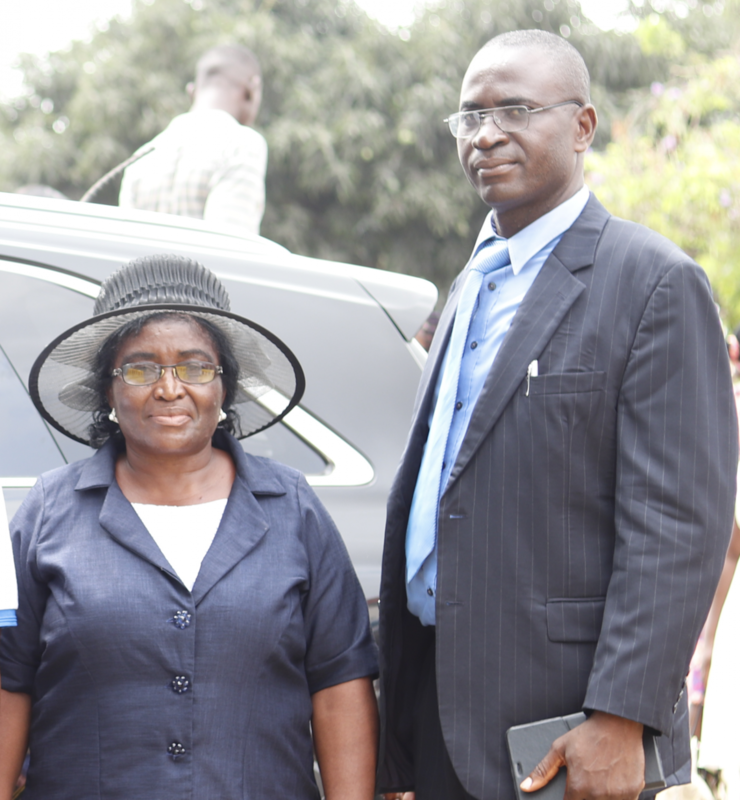 She was consecrated a catechist in 2010 after training at Ramseyer, Abetifi. 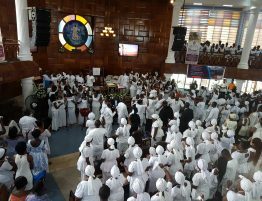 She served at the Hope Congregation from her training years till she was transferred in 2013 to serve in the congregation of the Most Holy Trinity where she served till January 2019. She also had the opportunity to become the first caretaker of the Manet Preaching Post. 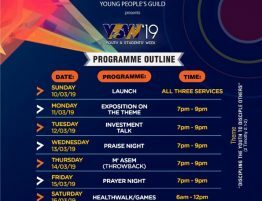 In February 2019, she was posted to the Kotobabi Preaching Post under the Hope congregation. 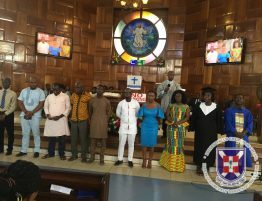 The two agents expressed their appreciation to the Ministerial team, the session as well as the congregation and called for their support for their ministry.